Explore the best biking trails on this paradisiacal islands. 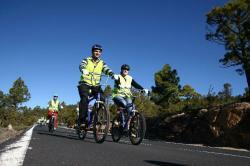 The Canary Islands are known for cyclers as the island’s for all the categories of cyclers. 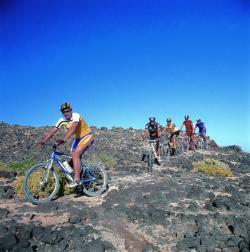 Cycling is one of the most popular sports in the Canary Islands both for locals and tourists. Whether you’re looking for a coastal cycling trip or an off road dirt trip you’ll always be able to find company and gear to fulfill your expectations. Cycling in the Canary Islands is so important that there are even training camps you can join. Yet not everything’s that easy, if you’re looking for some of the higher cycling challenges on the world, in the Canary islands you might have a taste of how it’s going to be. In all of the Canary Islands you’ll find many bike rental centres and many hotels offering bikes as a complement to your stay, so don’t waste more time and engage on a natural experience. If you’re the adventurous type looking for a more intense experience check out the mountain bike trips available on this island. Find out some of the best cycling trips available in La Gomera. One of the best ways to meet the island of La Palma.